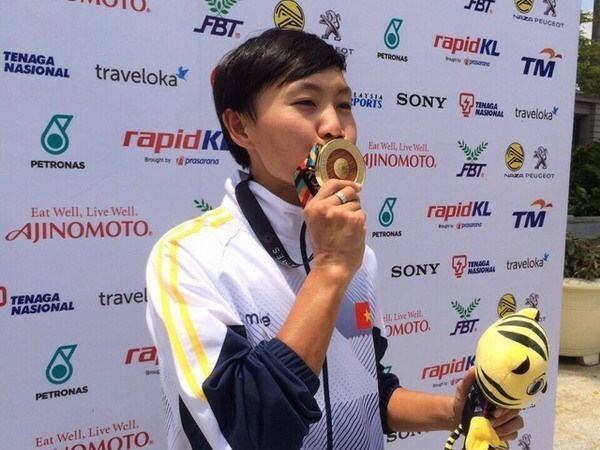 Kuala Lumpur (VNA) – Vietnam earned two more gold medals in cycling and shooting on August 23, the fourth official competition day of the ongoing 29th Southeast Asian Games (SEA Games 29) in Malaysia. Cyclist Nguyen Thi That surpassed her rivals of the host Malaysia to win the gold medal in the women’s individual mass start. This was That’s second individual gold medal after the first one in the women’s criterium category. Meanwhile, shooter Ha Minh Thanh secured the other gold medal in the men’s 25m rapid fire pistol and set a SEA Games record. This was the first gold medal of the Vietnamese shooting team. Shooters of Malaysia and Thailand took the silver and bronze medals, respectively.